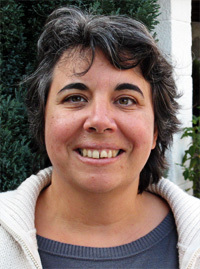 Prof. Ana I Gómez de Castro is staff member of the Universidad Complutense de Madrid (Spain) since 1994 and leads the Research Group on Space Astronomy. She is full professor in Astronomy and Astrophysics and the Principal Investigator of the Spanish participation in the Russian led mission World Space Observatory-UV (WSO-UV) with intended launch date 2021. WSO-UV is a 1.7 m space telescope equipped with instrumentation for UV imaging and spectroscopy. She is the chair of the European Network for Ultraviolet Astronomy (www.nuva.eu) and has been elected as member of Division B of the International Astronomical Union. She chairs the working group on UV astronomy of the IAU that has as fundamental objective to elaborate a road map for UV astronomy at international scale, seeking for international synergies and collaboration. She has published more than 200 articles, and edited 8 books among them, the NUVA series on UV astronomy. She has been member of the Editorial board of the journal Astrophysics and Space Science from 2011 to 2014. Her principal research interests are the physics of star formation and early stellar evolution.